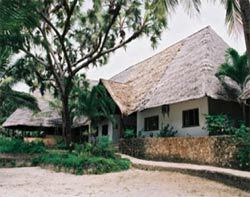 Situated on Silver sands beach, 5km south of Malindi town, Driftwood Beach Club can accommodate 70 guests in individual air-conditioned bandas with thatched roofs and small verandas. Majority of rooms have en-suite bathrooms, and mosquito nets. 9 rooms have a sea view while others are spread out in the tropical gardens. Two luxury cottages are situated in a private walled garden with their own swimming pool, double en-suite bathrooms, living room, and veranda overlooking pool. Three other luxury self-catering villas are secluded in a private premises behind the club with their own swimming pool, two with 2 double air-conditioned bedrooms, and one villa with a third single room. The clubs main dinning and bar overlook the ocean. 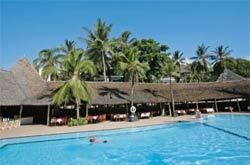 Eden Rock Hotel is located in Malindi approximately 120 Km from Mombasa town. It contains 160 rooms, 5 suites, all with ocean view, 2 fresh water swimming pools with a bar, a tropical garden, and 1 seawater swimming pool. The hotel also has tennis court and volleyball pitch, hotel-owned boat for deep-sea fishing, a' la Carte restaurant, bar, discotheque. Nearby the hotel, there is a 9-hole golf course, horse riding on the beach, diving and snorkelling in the marine park, windsurfing, jet skiing, and dhow trips are also offered. 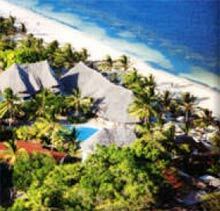 Ocean Sports Hotel sits on Turtle Bay, Watamu, and a three mile stretch of dazzling white sand. There are 29 rooms, cottage style rooms overlook the sea and are set in gardens of bougainvillea, frangipani and papaya trees fanned by cool breezes. Family rooms available. Meals throughout the week make use of the fresh seafood and tropical fruits. Hemmingway's is built right at the edge of the beach. It is a romantic and relaxing getaway, famous for honeymooners and deep-sea fishing. There are two swimming pools in the hotel, and also several twin-engine boats for fishing. 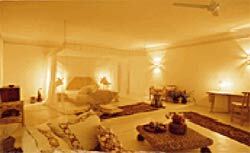 All rooms have air-conditioning, mosquito nets, fans and a safe for valuables. Kilili Baharini Resort has got only 16 rooms, each one provided with a bathroom, air-condition, and mosquito net, and swimming pools, one every four rooms with the bigger one is in front of the sea. 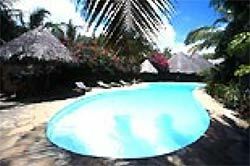 The cottages of Scorpio Villas are furnished in old Lamu style handcrafted furniture. All bedrooms are ensuite with a 7-foot carved four-poster bed, air conditioning and ceiling fan. Breakfast is served on the spacious verandas of the villas. There is a restaurant and a bar. Italian and Swahili cuisine is their specialty. There are three crystalline swimming pools set in the 3-acres of tropical gardens. Sandy paths lead to the dazzling white sandy beach where makuti umbrellas shade the beach beds and bar service is available. Turtle Bay Beach Club is a larger family-style hotel, which operates on an all inclusive resort system similar to a club med. The hotel is built on a slope. The main dinning area is open to gardens and fishponds. There are 154 rooms, all with private balconies, ceiling fans, and ensuite bathrooms. 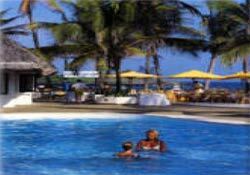 Woburn Residence Club is located in Malindi, a 10-minute drive from the Malindi airport. It is a quiet and exclusive place. There are one, two and three bed-roomed apartments all with air-conditioned bedrooms. They are large each with balcony, fully equipped kitchen and a small garden. Each apartment overlooks the three swimming pools interlinked with cascading spill ways and a delightful Jacuzzi on the island in the centre all surrounded and incorporated in lush tropical gardens.